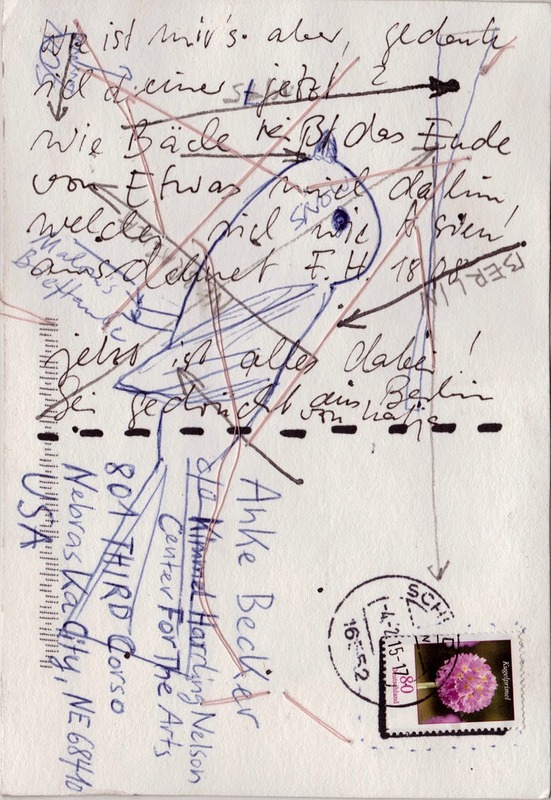 A postcard from KATJA PUDOR, sent from Berlin Germany. Katja is a multitalented visual artist - she makes paintings, drawings, large scale installations. She also collaborates with other artists in regular intervals under the label Bandprobe, an initiative she founded with the artist Antonia Nordmann. Katja and I met 2008 in Berlin in the context of a one-year postgraduate program for female artists named Goldrausch Künstlerinnenprojekt. 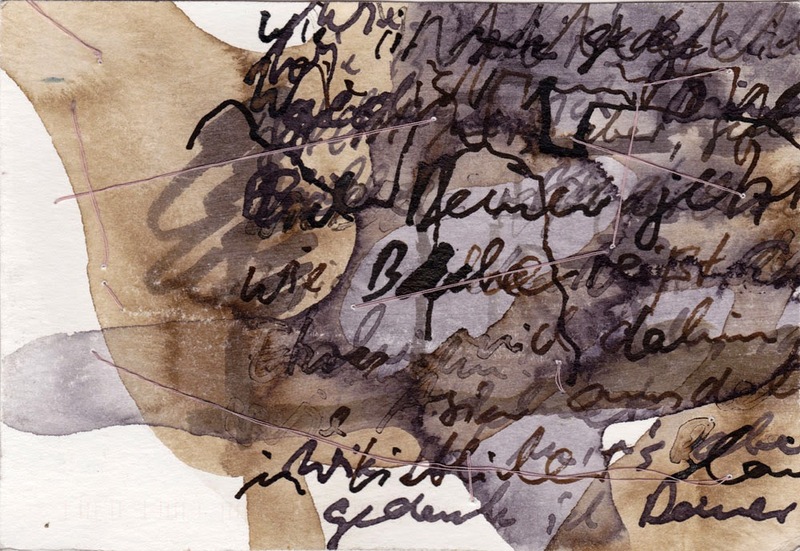 The postcard Katja sent me is a collaboration between her and her daughter Malou Hendel. ".. Wie ist mir's aber, gedenk' ich deiner jetzt? Wie Bäche reißt des Ende von Etwas mich dahin"
Katja quotes a poem by Friedrich Hölderlin. She told me that this poem always recalls in her an unsettled longing (the German: Sehnsucht) I don't dare to translate Hölderlin's language, but title of the poem stands for something like "delightful blueness"